18 August 2015, at 6:02a.m. Rodents, such as rats and mice, are a major concern on poultry farms due to building damage and feed loss. In this article from Mississippi State University's MSU Cares project, researchers describe common rodents found on poultry farms and how to deal with infestations. 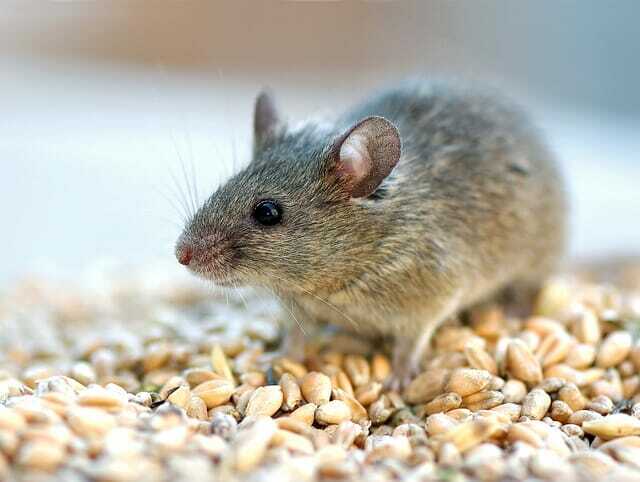 Unless steps are taken to prevent their presence, the house mouse (Mus musculus), Norway rat (Rattus norvegicus), and roof rat (Rattus rattus) may become unwanted (and frequently unnoticed) guests in poultry houses. Although several kinds of rats and mice are found in Mississippi, only the Norway rat, roof rat, and house mouse are considered important pests around farms and homes, write Mississippi State University Extension Professor Tom Tabler and colleagues. Poultry houses are attractive to these unwanted guests because they provide an almost unlimited supply of the three basic requirements that a rodent needs: harbourage (places to hide and nest), food, and water. Rodent populations usually remain low if one or more of these items is missing in an area. Unfortunately, because poultry houses usually have all three items in abundance, preventing rats and mice from moving into the poultry house is an ongoing challenge. Both rats and mice can enter a hole large enough to pass their head through, as small as a quarter-inch for mice or a half-inch for rats. Once inside the house, they can easily burrow into the loose, dry poultry litter, under caked litter, into dirt floors, inside walls, and into insulation in the walls and ceiling. This activity may go unnoticed, for the most part, because rodents are active mainly at night when growers often are not present, and rodents are seldom seen during the day until their numbers reach epidemic proportions. However, even a small population of rodents can cause significant problems that cost growers money. Possibly, the most obvious problem with rodents is the feed they consume and contaminate. All rodents will eat poultry feed, and they contaminate and ruin much more than they eat. An adult rat eats about 1 to 2 ounces of feed each day, whereas a mouse will eat far less, about 0.1 ounce per day (Hoelscher, 1997). That doesn’t sound like a lot of feed, but a large rodent population may eat several tons of feed each year. Dollar losses from feed eaten or contaminated are difficult to estimate. However, if one rat eats 1 ounce of feed per day, that is 23 pounds per year. If a rat eats 2 ounces of feed per day, that is 46 pounds per year. If there are 200 rats present (not a major infestation for a large poultry house) and each one is eating 46 pounds of feed per year, that is 4.6 tons of feed! If feed costs $300 per ton, the cost would be $1,380, or $6.90 per rat! This is just the dollar cost of lost feed to the integrator. It does not include your cost in lost feed conversion and the negative impact this will have on where you rank on the settlement sheet. In addition, feed contaminated by rodents significantly adds to this loss. Berry (2003) reported some USDA estimates of the actual cost of rats’ feed wastage and damage is as high as $25 per rat per year. Physical damage to the building and equipment is another way rodents cost growers money. Rodents gnaw on support structures, plastic curtains, cool cell pads, egg belts, insulation, and wiring, and they burrow under walls and concrete walkways, causing shifting and cracks (Berry, 2003). Operational shutdowns or power failures due to electrical or mechanical malfunctions as a result of rodent damage can cost an operation thousands of dollars and the possible loss of an entire house of birds in only a few short minutes. Damage to building insulation is expensive, and the chronic energy losses and associated effects on poultry production magnify that expense (Loven, 2010). Gnawing on electrical wiring is a fire hazard that could burn the house down. Rodent damage may start small (Figure 1) but quickly develop into a major problem (Figure 2) that will be costly to correct. You must know which rodent(s) you are dealing with in order to implement an effective control and eradication program. The Norway rat has a large, thick body that measures 7½ to 10 inches in length with a tail length of 6 to 8½ inches (slightly shorter than its body). An adult usually weighs 10 to 17 ounces. It can climb when necessary but is primarily a burrowing creature and prefers to live in a burrow 8 to 18 inches below the ground. The rat varies in colour from brown to grey and has a blunt snout, small eyes, and small ears. The droppings are usually capsule to spindle shaped and are approximately three-fourths of an inch in length with blunt ends. The Norway rat is sometimes called by several other names, including sewer rat, brown rat, house rat, common rat, wharf rat, or barn rat. The roof rat seldom burrows in the ground and, compared to the Norway rat, has a more slender, graceful, and streamlined body, a more pointed snout, and larger ears and eyes. Its tail is longer than its body (total length of 13 to 17 inches). Droppings are smaller than those of the Norway rat and are spindle to sausage shaped with pointed ends. It is sometimes called the ship rat or black rat. Aside from these differences, Norway and roof rats are similar. Because their front incisor teeth grow an average of 5 inches per year, rats gnaw almost constantly to keep them worn down. Rats are also excellent swimmers. They can swim up to half a mile in open water, travel through sewer lines against substantial currents, and tread water for up to 3 days (Loven, 2010). They can fall 50 feet without serious injury and can jump vertically up to 3 feet. Rats usually feed once or twice during the night. They have a home range of approximately 100 feet and often live in colonies, with several rats sharing the same feed and water source (Berry, 2003). Rats reach sexual maturity at 2 to 3 months of age and have a gestation period of 21 to 25 days. The young are weaned at 3 weeks old, often just before the arrival of a new litter. A female can mate as soon as one day after giving birth. If fertilisation does not occur, she will come into heat about every 5 days. In natural conditions, many die, but in a year, as many as 60 to 70 offspring from one female may mature. The house mouse is a brownish to grayish rodent with relatively large ears and small eyes. The adult mouse is 5½ to 7½ inches long including the 3- to 4-inch tail. The house mouse has a small home range of less than 25 feet. This is important information when determining the frequency and distance to place bait stations or traps. Mice are very curious and will investigate bait stations and bait placed in their paths. However, rats are very suspicious of trying new food sources. Rats can also be picky eaters and tend to prefer fresh, high-quality foods and will reject spoiled or poorquality food sources if given a choice. It is important to know how serious a rodent infestation problem you have in order to attack the problem. Several seen during the day—up to 5,000 on the premises. For every rodent seen, it is estimated there are likely 20 to 50 that are unseen. In addition to the feed issues mentioned previously, rodents also spread diseases to poultry flocks by contaminating feed and bird living areas with urine and droppings. 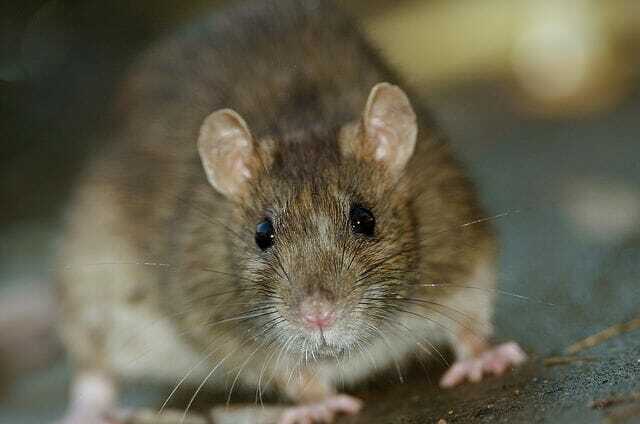 Rats and mice are linked to poultry diseases such as salmonellosis, colibacillosis, coryza, pasteurellosis, mycoplasmosis, hemorrhagic enteritis, hymenolepiasis, capilariasis, and ascaridiasis (Donald et al., 2002). Preventive actions against rodent infestations are rarely as vigorous and dedicated as the problem demands. This may be because poultry growers are not aware of the severity of an infestation (due in part to the nocturnal behaviour of mice and rats) or do not fully comprehend the seriousness of an infestation. Sanitation and rodent-proofing are both important to prevent an infestation or remove one if an infestation currently exists. Sanitation is simply good housekeeping practices that deny rodents shelter and resources. If shelter and nesting sites are provided, rodents will gladly accept the invitation and move in. However, a clean, well-maintained operation exposes rodents to predators and exposes their activities (burrows, trails, and so forth) to you. Keep the grass mowed and trash and clutter from collecting around the houses. Maintain at least a 3-foot space around the perimeter of the poultry house that is free of brush, trash, weeds, and so forth. This will allow you to easily check the outside of the building for potential pathways, burrows, and rodent activity. Clean up feed spills inside and outside the house promptly. Totally rodent-proofing a poultry house is not possible, but you can make it difficult for rodents to gain entrance. Make sure load-out and walk-in doors close and seal properly. Check that corrugated metal siding is sealed, and make sure corner seams are tight. Properly seal openings surrounding feed augers, water lines, and electrical conduits that enter the house from outside. A wide variety of rodenticides (poison baits) are available. Selecting the right one can be confusing but is a very important task. In most situations, ready-to-use commercial baits are the preferred choice over mix-your-own baits. However, an understanding of the basics is still necessary to know how to use a particular product most effectively and to avoid bait aversion. Rodenticides may be formulated as bar baits, pellets, concentrates, or tracking powders. Bar baits are formulated with a rodenticide, various grain products, and a binder with a high wax content that allows the product to withstand moisture for long periods. They usually come in bar or chunk form. Pellets are the poison formulation mixed with grain and a binder that holds the pellet together. They are available as loose pellets (bulk) or may come in small individual pitch packs. Concentrates are often powders and are designed to be mixed with feed or water. Tracking powders are formulated with talc or some other inert ingredient. They should be spread along rodent pathways. Rodents pick up the poison on their feet, fur, and tails as they move along the pathway and ingest the poison while grooming. Tracking powder is regulated and its use is restricted to those individuals qualified to handle the product. Rodenticides are generally classified as either multiple- or single-feed poisons. The type of active ingredient determines how the product should be used. Failure to follow directions and use the product correctly will yield poor results and may place non-target animals at risk, so read and follow the label! All rodenticides are poisonous at various levels for poultry, livestock, nontarget wildlife, and humans. Exercise caution in their use, and strictly follow the manufacturer’s instructions and warnings. Many poultry growers prefer single-feed poisons because rats and mice receive a lethal dose after only one or two feedings. This is a big advantage over multiple-feed poisons that must be consumed every day for 7 days or longer for the rodent to receive a lethal dose. Rodenticides are also classified into two broad chemical groups: anticoagulants and non-anticoagulants. Anticoagulant rodenticides were first discovered in the 1940s and have since become the most widely used toxicants for mice and rat control. Anticoagulants prevent the blood from clotting so that death is caused by internal bleeding. Anticoagulant rodenticides have a low dose of the active ingredient, so they are relatively slow-acting. Death may take 3 to 5 days (perhaps longer with some warfarin baits) after a lethal amount of the bait has been ingested. Some rodents have developed a genetic resistance to warfarin products. Warfarin was the first marketed anticoagulant and became the best known and most widely used. However, its use is limited today due to resistance and newer, more potent anticoagulants. Common rodenticides and their dose requirements are listed in Table 1, along with some of their common trade names in the US. The three non-anticoagulant rodenticides listed in Table 1 are useful for rapid reductions in a rodent population. Bromethalin is a neurotoxin that works by causing central nervous system shutdown, paralysis, and death. A single dose is usually lethal in 1 to 3 days. The amount of bait needed is usually about one-third of that used with anticoagulants, since an animal ingesting a lethal dose does not feed again. With anticoagulants, rodents continue to consume bait after they have ingested a lethal dose of the slow-acting active ingredient until death occurs. Cholecalciferol is vitamin D3 and is especially toxic to rodents in massive doses. It breaks down bone and causes high blood levels of calcium, disrupting body functions. Death results from hypercalcemia (too much calcium in the blood). Cholecalciferol will act as a single-feed poison if a sufficient amount is consumed by a rodent in one feeding, but it will act as a multiple-feed poison if consumed in lesser amounts over several days (Loven, 2010). Zinc phosphide has been used extensively for many years as a rodenticide. When it comes into contact with the dilute acids in the stomach, phosphine gas is released. It causes convulsions, paralysis, coma, and death from asphyxia (deficient supply of oxygen to the body). There is no secondary poisoning with zinc phosphide because it is not stored in muscle or other tissues of the poisoned rodents. However, the ingested zinc phosphide remains toxic up to several days in the gut of a dead rodent. Therefore, other animals can be poisoned if they eat enough of the gut contents of rodents recently killed with zinc phosphide. Prebaiting (offering rodents similar but non-toxic bait before applying the toxicant-treated bait) is recommended with zinc phosphide to increase acceptance and avoid bait aversion. Zinc phosphide should only be available to rodents for a few days because continued exposure will likely result in bait shyness within the population. Zinc phosphide use is strictly controlled, and only individuals holding a restricted-use pesticide license can purchase it. Rodent control effectiveness will depend on monitoring and evaluation of the control program by individuals responsible for program implementation. If these individuals are motivated and have a strong interest in achieving success, the rodent control program will be successful. Wrong bait choice or old, mouldy, unappealing bait (rotate baits; check twice per month). Use gloves when dispensing bait for your own protection and to prevent human smell on the bait, which may cause rodents to avoid the product. Be sure to have plenty of bait stations by, keeping in mind the home range of both rats and mice. Bait stations can be purchased from commercial vendors or they can be made fairly inexpensively at home out of PVC pipe. To make a home-made bait station out of PVC pipe, use 1½- inch diameter pipe for mice or 2½- to 4-inch pipe for rat stations. Build an upside-down T, using three 8- to 12-inch PVC pipe sections and a “T” coupling to put them together. You do not need to glue the pieces together. Just stick the pipe sections into the coupling. Add a removable cap to the vertical pipe section to help keep the bait dry. Use pipe strapping to attach bait stations to the house sidewall. A rodent control program that includes sanitation, rodent-proofing, population reduction, and evaluating and monitoring the rodent situation should be a critical part of every poultry farm’s biosecurity and overall management programme. Rodent infestation can put a major dent in feed conversion numbers because of feed lost due to consumption and contamination. Good housekeeping (keeping grass mowed and removing clutter from around buildings) will help keep the rodent challenge at a minimum. Monitor the situation and maintain a control program that includes permanent bait stations and rotating rodenticides on a regular basis. Various rodenticides are available to assist with a rodent control program. Match the correct rodenticide to your particular situation and take proper steps to prevent rodenticide failure. Program failure can usually be traced back to human error and not to the rodents. Your local poultry supply store should carry rodenticide and can offer advice on a rodent control programme. Remember that rodenticides are poisons and must be respected and handled responsibly and in accordance with label instructions for the protection of humans, poultry flocks, non-target wildlife, and the environment. To find out more about rat control, read our article How We Created and Can Address the ‘Super Rat about rodenticide resistance. Authors of this piece were: Tom Tabler, Extension Professor, Poultry Science; Morgan Farnell, Associate Professor, Poultry Science; Jessica Wells, Extension Instructor, Poultry Science; Haitham Yakout, Visiting Research Professor, Poultry Science; and Yi Liang, Assistant Professor, Biological and Agricultural Engineering Department, University of Arkansas.